South Dowerin farmer Gavin Hagboom has spent the best part of his farming career searching for ways to improve his soil health. 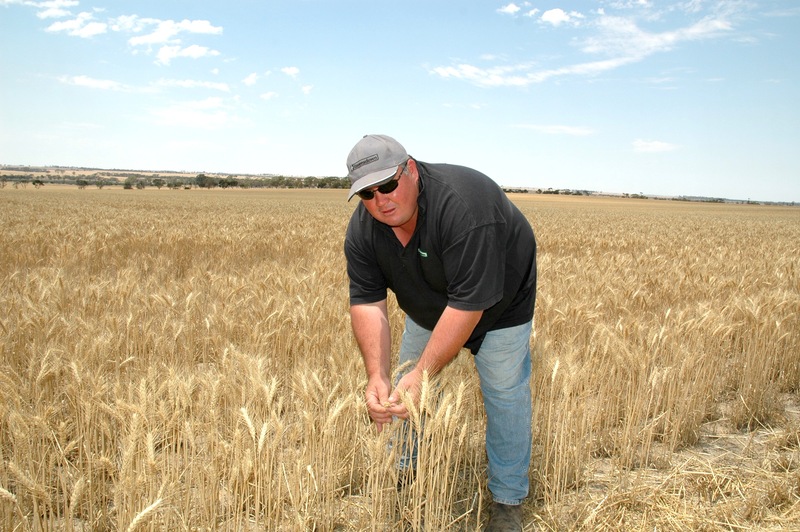 He’s one of eight farmers nominated as Wheatbelt Champions, as part of a push to highlight the importance of sustainable farming by natural resource management group Wheatbelt NRM. Like may farmers in his area, Gavin Hagboom was asking the question why the ample amounts of phosphorous in his paddocks weren’t translating into better crop yields. “I’d always been involved in trials with the agriculture department, private companies and different consultants,” Gavin Hagboom said. “But it was our own work looking at all of our results and incorporating soil biology that has led us to a more sustainable farming system that seemed to produce the best results.” For Gavin his wife Amanda and father Colin, this meant introducing pasture cropping, agroforestry, a dual purpose sheep breed and perhaps the key ingredient – improving soil biology. “I’d been travelling down this road since I left Cunderdin Agriculture College and Muresk,” Gavin Hagboom said. “We basically introduced humates (plant-based growth stimulants) and microbes at seeding time, trying to encourage the soil biology back into our poorer sandy soils. “We use a minimal amount of fertiliser coated with Hi-Humic Plus at seeding time and a biological innoculant on the seed along with a compatible seed dressing liquid. “The reason behind this is to buffer the burn effect from fertiliser at seeding and create a better environment for the soil biology as well as a food source. “But we are primarily focused on a foliar, liquid fertiliser at plant stage. “This includes a liquid urea, liquid potassium and trace elements, to maximize the delivery system to our plants. “By doing this we’ve been able to minimize our granular fertiliser rates and improve the soil’s ability to hold moisture.” The 2800 hectare property now has a cropping rotation of wheat, canola, lupins and oats along with 300 hectares of serradella annually, a pasture legume for deep, acid soils that is harvested and sold for seed. “By using a serradella and wheat rotation we’ve been able to bring our organic matter up from one to three to four per cent on these paddocks. The commercial tree crops were planted to tackle wind erosion and to eventually offer a commercial return. About 200 hectares of pinaster pine has been planted along with 60 hectares of sandalwood. Gavin Hagboom said “the 4000 Dohne Merino sheep are an important part of the puzzle.” “They are by far the most productive converters of our system,” he said. “The sheep graze the forestry and serradella pasture and the stubbles post harvest. “We’ve found the Dohne breed to perform the best on this country.” Gavin Hagboom has been so convinced by his focus on improving soil biology and lifting the holding capacity of his soil he has continued to trial and measure different scenarios each year to fine tune his operation. “I’ve been looking for my own answers for improvements and invested in my own research which has evolved into a hybrid farming system using physical, chemical and biological inputs,” he said. “We organize and hold field walks each year, to share the results with other like minded farmers who are using similar systems,” he said. “At the end of day, if I can help someone by not making the same mistakes I did, or have seen made, or learned from others that’s the way I’d like to be. We need to keep people on the land through more profitable sustainable farming practices because if we don’t, we won’t have a rural community, and that for me is the bigger picture.” Gavin Hagboom will be one of eight WA farmers featured at the Talkin’ Soil Heath: Invention and Innovation in Soil Management conference being hosted by Wheatbelt NRM. The event is primarily aimed at broadacre Wheatbelt farmers and will feature presentations by soils ecologist, Dr Christine Jones and broad acre farming systems specialist Dr Michael Robertson from the CSIRO. Workshops will also be run by Prof. Dan Murphy and Prof. Lyn Abbott from the University of Western Australia. The conference will take place Tuesday 26 and Wednesday 27 March at York Town Hall and registration is free. More information is available at www.wheatbeltnrm.org.au or by phoning Wheatbelt NRM on (08) 9670 3100. The event is funded through the Federal government’s Caring For our Country initiative.